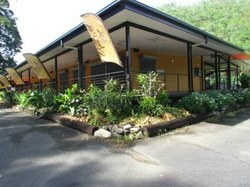 Cooktown has several dining options with cafe snacks, a scenic kiosk, traditional pub fare or fine dining at one of the licensed or B.Y.O restaurants. There are a number of Road Houses and Restaurants on Cape York who cater for all tastes from burgers to seafood and everything in between. A variety of cafes and restaurants are on offer in Cooktown ranging from take away shops, a la carte dining to counter meals at a pub. You definitely won't go hungry in Cooktown! 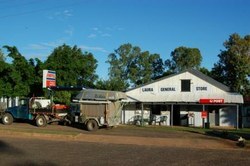 The roadhouse and general store in Lakeland and Laura are great places to get a bite to eat whilst travelling through this area. 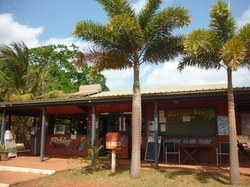 Small cafes, coffee shops and eateries are scattering along the Rainforest Coast at Wujal Wujal, Ayton and Helenvale. All have their own unique menus and scenery. 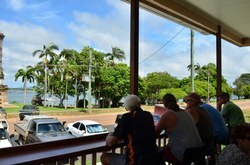 A range of Cafe's, Bars and Bistros are available in Weipa to suit all tastes.